Get a behind-the-scenes glimpse of what it takes to be considered one of the worst figures in history, with this fourth book in a nonfiction series that focuses on the most nefarious historical figures. Lizzie Borden took an axe, gave her mother forty whacks. On August 4, 1892, the murders of wealthy and prominent Andrew and Abby Borden rocked the small town of Fall River, Massachusetts. The accused? 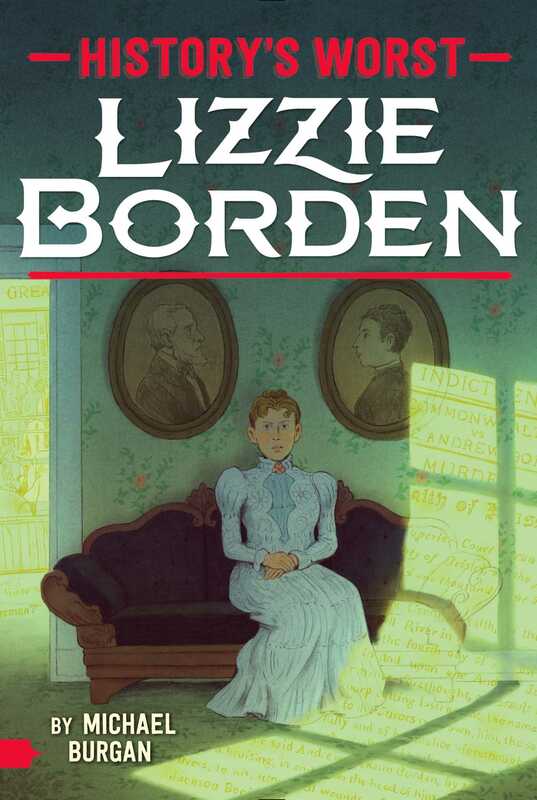 Mild-mannered and highly respected Lizzie Borden, daughter of Andrew and stepdaughter of Abby. But did she actually do it? And if she did, why? Lizzie had as much to gain from the death of her father as anyone. Despite his wealth, Andrew did not believe in spending money and Lizzie had grown frustrated with the situation. And her actions in the days before the murder—trying to buy a type of strong poison—as well as those after the murder—burning a dress she claimed was stained—didn’t help. On August 11, Lizzie was arrested. But after a sensational trial, she was found not guilty. Rumors lingered. Stories persisted. And Lizzie continues to fascinate even today.